Change. A lot of times we know we are suppose to make changes but we don’t out of fear or because we are comfortable where we are, even though we are not happy. A mentor said once that we don’t make changes until we are up against the wall and it’s painful. But what if we welcome change. And made the change ourselves and not let “change” make the decision for us. When I decided to be bicoastal and have a place in LA and Atlanta, it was a hard discussion for me. I was leaving 17 years of work in LA, friends I knew, and I knew no one in Atlanta. And I was leaving Hollywood, the place were all actors move to, to become stars! WHAT “ARE YOU DOING CHRYSTEE,” I asked myself. But my gut told me to do it and I started packing. To make sure I didn’t question myself again, I chose not to tell anyone else so that THEY didn’t question what I knew in my heart to do. I decided to be bicoastal because I needed to kick up the dust, dance to my own rhythm and find happiness. And in 10 months, I have booked a few films, a few tv shows, met new friends, and started my own business teaching the business side of acting. Wow Chrystee! I’m even proud of myself. There is no way all of this would have happened had I stayed complacent where I was. I learned to enjoy the change and to have fun with it. What change are you afraid of? Don’t wait until it hurts to make the change, take control over it and make the change now. Be excited about it. So many things are waiting for you. 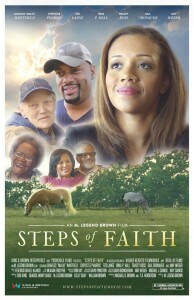 It’s timeto walk into your destiny. 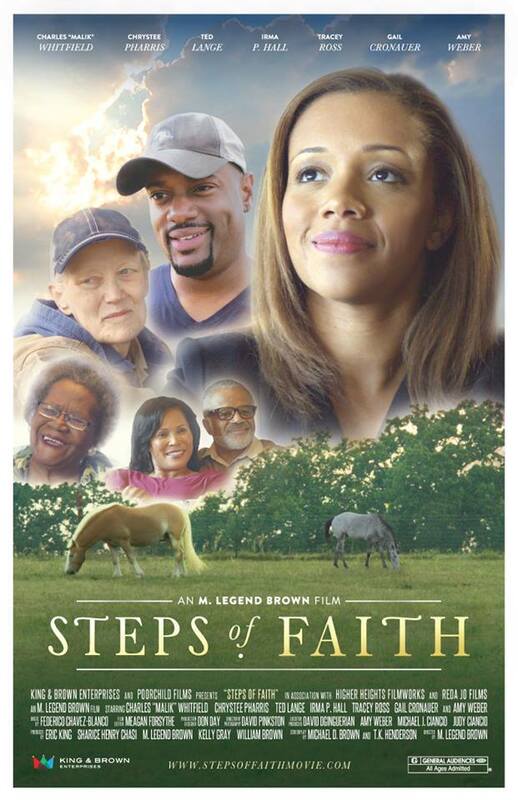 If you are in the Dallas, TX area August 16th, 2014 come check out the premiere of Steps of Faith. Of course the more we fill up the theater, the more investors will give!! So come out. Fly out… Send people out… Just get out…..